A relatively new method of stimulation,laser acupuncture uses low-energy laser beams—instead of traditional acupuncture needles—to influence acupuncture points. The healing power of lasers was discovered over 40 years ago. During an experiment to determine if laser-light caused cancer in 1967, Endre Mester exposed the shaved backs of several mice to low-powered red laser light. Not only did the laser treatments not cause cancer, he noted that the hair grew back much quicker on the treated mice than on the un-treated control group! Over the years, this discovery has led to a field of study called “photo-biomodulation”. Lasers are being used to accelerate healing, reduce inflammation, and reduce pain. How does laser acupuncture work? From the cellular perspective, low-level lasers can decrease inflammation and pain. The mechanism seems to be through changes to how local tissues respond to the cortisol steroid hormone system. 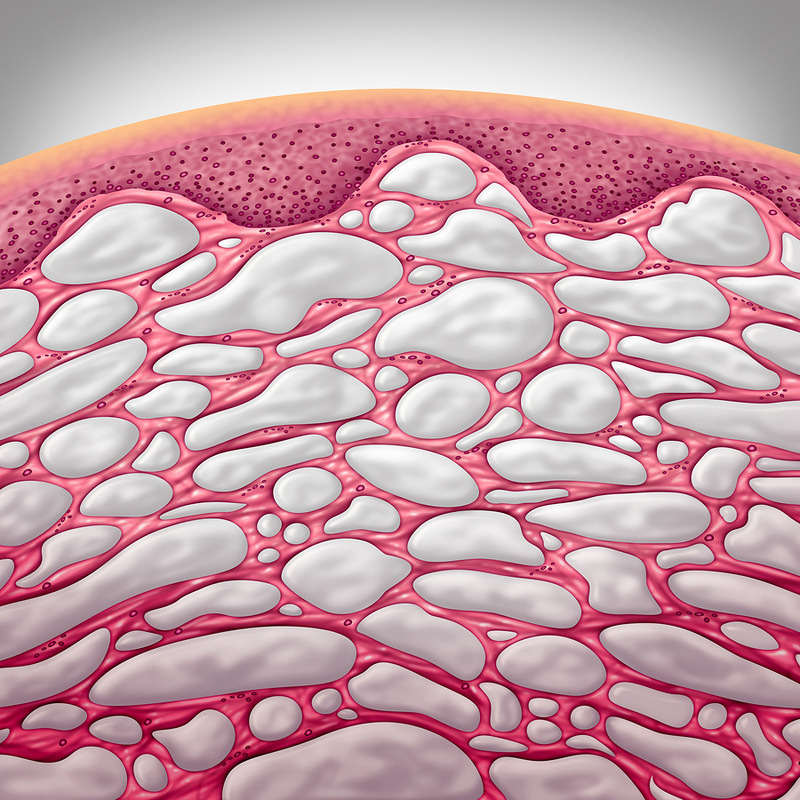 It also stimulates the regeneration of damaged tissues by increasing connective tissue activity of fibroblasts. 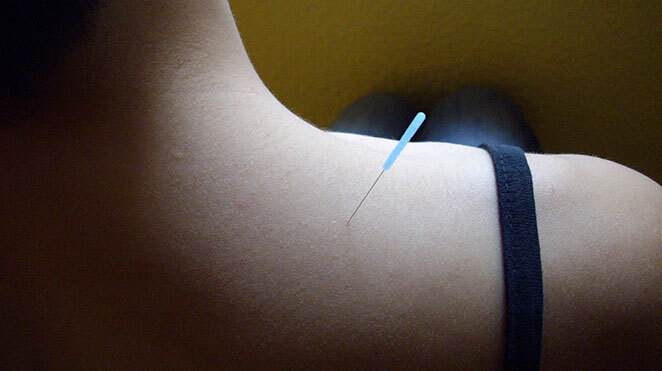 Low level laser acupuncture techniques focus both right at the problem site, like in physiotherapy (tight or injured tissues), and at the classic meridian-type “acupoints” near and far from the problem to impact on one’s constitution (based on Chinese medicine theory). It is likely that needlles and penetrating laser light work by different mechanisms. Recent research has made it clearer that different colours of laser light do different jobs. Green laser light is quickly absorbed by surface tissues such as skin and blood, and can be used for surface wounds. 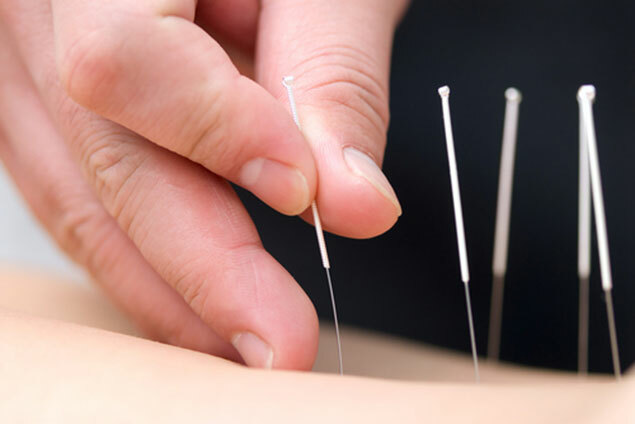 On the other hand, infrared lasers, the type more popular with acupuncture and physiotherapy (and the type we use at our clinic) penetrate more deeply to connective tissues like ligaments and tendons. Low level lasers are not like the higher energy medical devices used to remove tattoos or cauterize wounds, that can cause significant tissue heating. 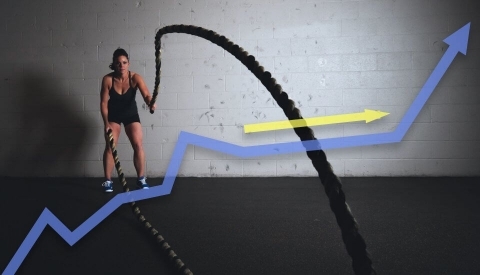 Low level lasers are safe since the amount of laser energy delivered over time is high enough to give a biostimulatory effect, yet low enough that heating of tissues cannot occur. These standards of performance for therapeutic lasers are regulated by the federal government. Still, the low level lasers are powerful enough that special protective eye glasses are provided to our patients during treatment. 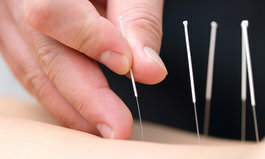 Why should I use laser acupuncture instead of the needles? 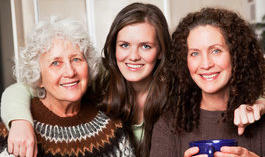 At our clinic, we use a variety of non-needle options for people who are sensitive to needles. These include acupressure, transcutaneous electro-stimulation, and more recently, low level laser stimulation of acupoints. “Low-level laser” therapy is safe, pain-free, and scientifically demonstrated to be effective for some conditions that respond to acupuncture. The fear of or sensitivity to needles for children especially, can prevent them from receiving the assistance of acupuncture for commonly treated problems. We are particularly interested in working with children and young people to help them obtain and maintain optimum balance — the impact can be so significant at this stage of life! Holistic medicine works to stimulate the body’s own healing systems, and treats imbalances from a constitutional perspective. As such, vigorous, young people respond exceptionally well with acupuncture and other holistic modalities because they are fundamentally healthy. This applies to adults as well — the more vigorous and healthy a person is overall, the greater response one has to acupuncture and fewer treatments are needed to help stimulate positive change. Dr. Sven Gottschling from the University Children’s Hospital, Saarland University, Hamburg, Germany and a group of other European medical researchers teamed up to investigate the efficacy of low level laser acupuncture therapy treating children with migraines or tension headaches (Pain 137, 2008, 405-412). They compared an active laser treatment to a placebo laser treatment in 43 children. This was a controlled, high quality study with randomization and double-blinding (see below for explanation). The average number of headaches per month decreased significantly more in the real laser acupuncture group (decrease of 6.4 days) than in the placebo group (decrease of 1.0 day). Headache severity and monthly hours with headache significantly decreased as well for the real laser acupuncture group compared to the placebo treatment. The researchers concluded that low level infrared laser acupuncture can provide a significant benefit for children with headache or migraines. The very convincing idea about experiments like this one using low level lasers is that they can be done like drug research. Here both patient and practitioner are “blinded” from the procedures. Both do not know who is receiving the real or fake (placebo) treatment. 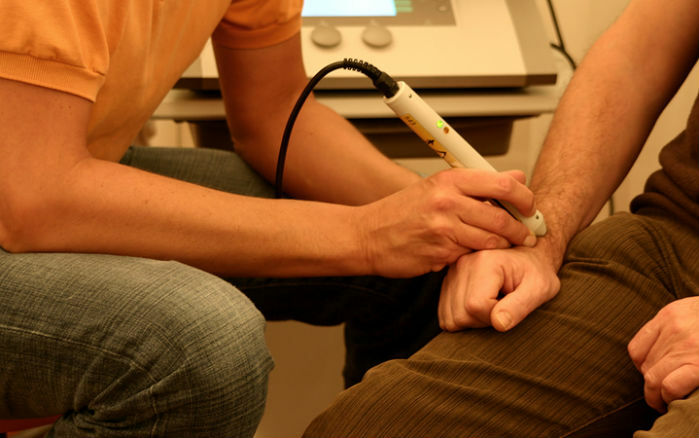 In low level laser therapy, one of the therapeutic instruments can be deactivated to use as the placebo instrument, and treatments are then randomly assigned. The results are evaluated without ever knowing the identity of the treatment until the end of the experiment. This is what makes acupuncture research so difficult, since you cannot properly develop a good placebo treatment. 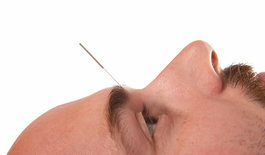 You cannot “blind” the acupuncturist during treatment, and it is very difficult to develop a “placebo” needle. It is for this reason that laser acupuncture research on traditional acupoints lends validity to the acupoint idea and acupuncture in general. This is not a complete review of the literature, but enough to give you an insight to things low lever lasers can do. As the research is refined and standardized regarding the laser colour, power, and duration of treatment, more applications will surely be validated by scientific scrutiny each year.